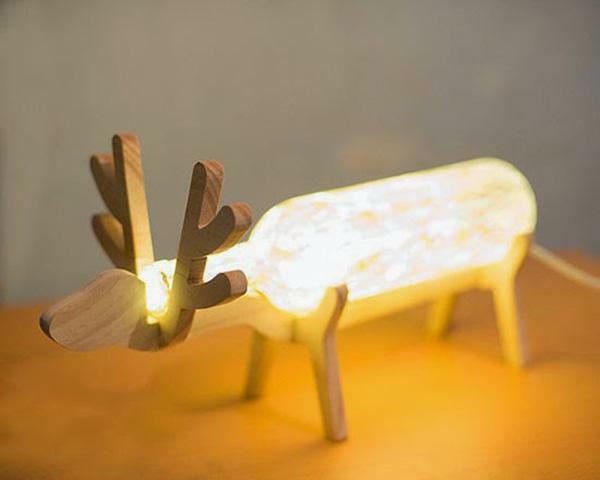 Wonderful looking reindeer inspired lamp. Using conventional things around the hose like bottles and a dab of creativity can create a work of art. 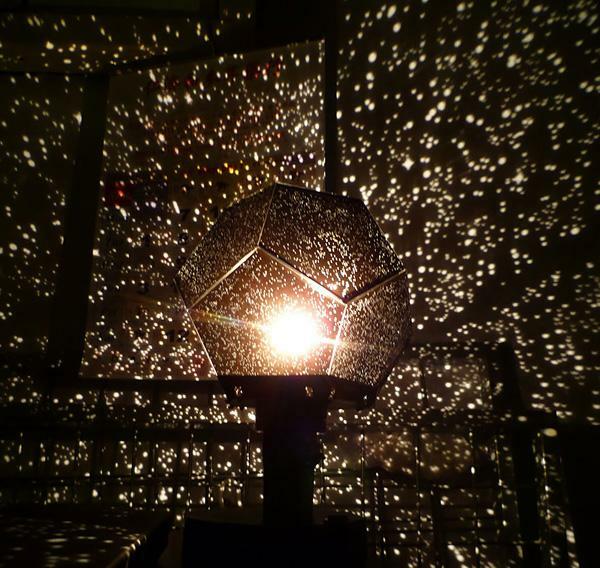 Make your very own lamp! Lamps are very useful things that we get for our rooms. 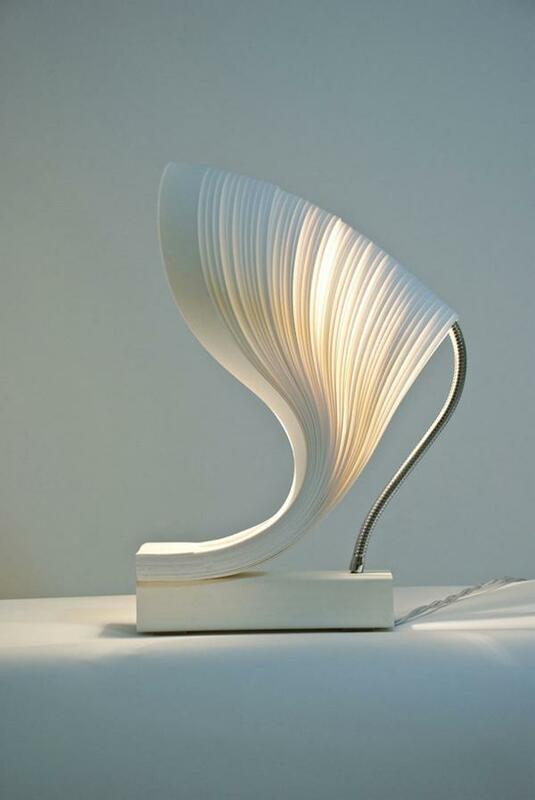 It provides comfortable light when we need it and can be forms of decoration too. There are a lot of ways wherein you can make your own lamps and add a personal touch on their designs. The key is to know what you want and looking for ways to create them. Do it yourself lamps not only lets you discover your inner creativity but it’s cheaper than buying a pre made lamp as well. Do it yourself crafts also help get rid of old things at home that just clutter around. You can take inspiration from using these materials and transforming them into something new and artistic. 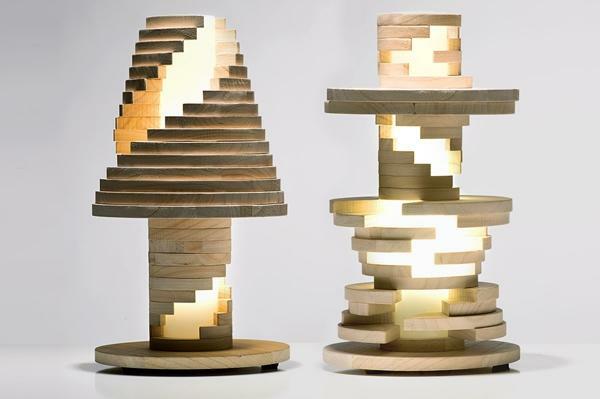 So why not start making your very own lamp? What you’re about to create is a cheap however very pretty Japanese style lamp wherein you can use recycled parts that can easily be found around the house. There are many tutorials out there that you can look for when you want more detailed designs; however below are the basics that you might be interested in learning when you want to make a simple yet unique lamp. Before anything else, make sure that you exercise the steps with caution. Remember that you will be dealing with light bulbs and wiring which is why you also need to be careful. Now that you’re done with that, it’s time to decide what design you should go for in that side of the lamp. You can go with abstract designs or stripes which are easier for starters you can even be creative on this one and make your own patter provided you have an idea how to construct them using the sticks that you have. Make sure that you can glue the sticks together and that they don’t fall off when you hold the frame alone. You can repeat the design on one side and make another for the rest of the sides, or you can duplicate the design and make it uniform on all sides of the lamp. It all depends on you and what design you might be aiming for. Just be sure that all ends are glued and that the sticks don’t fall out the moment you hold the frame in standing position. When you’re done with that it’s time to place the skin of the lamp. Place the crafting paper below the frame; make sure that the frame is glued to the frame. Wait until the glue dries completely and when everything is set, carefully cut the edges of the paper to fit the frame. When you’re done with one side, it’s time to do the remaining sides. It’s time to place the wires. Carefully cut off the insulation of the flex for a few centimeters, any more can cause a short and you wouldn’t want that. Wire the end of the flex into the socket. After securing that no copper part is showing, wire the other end to the plug. Make sure that a fuse is installed. If you like, you can install the torpedo switch near the socket or anywhere else you want it to be. When done, carefully test of the bulb is lighting. Do the checking away from the paper to avoid any incidents of fire. Now it’s time to make the base of the lamp. Get the corrugated cardboard and cut it to fit the width of your side panels. Add at least two layers or more and attach them with glue for maximum strength. Make sure to cut out a shallow hole where the flex can pass through. Then glue the socket on the base firmly while positioning the flex to fit the hole. After which, it’s time to attach the side panels together. Glue the sides together, make sure that they fit each other’s edges perfectly or it will look weird when one side is taller than the other. Also make sure that you don’t glue the base on because you will have trouble changing the bulb if you do this. Then viola! Your masterpiece is done! Take note that since you’re working with paper on this lamp it is wise to choose a bulb with softer light. Choose a bulb that doesn’t heat up the paper as much under an hour, the lamp is very light and thin so placing it in vulnerable places is a no-no. 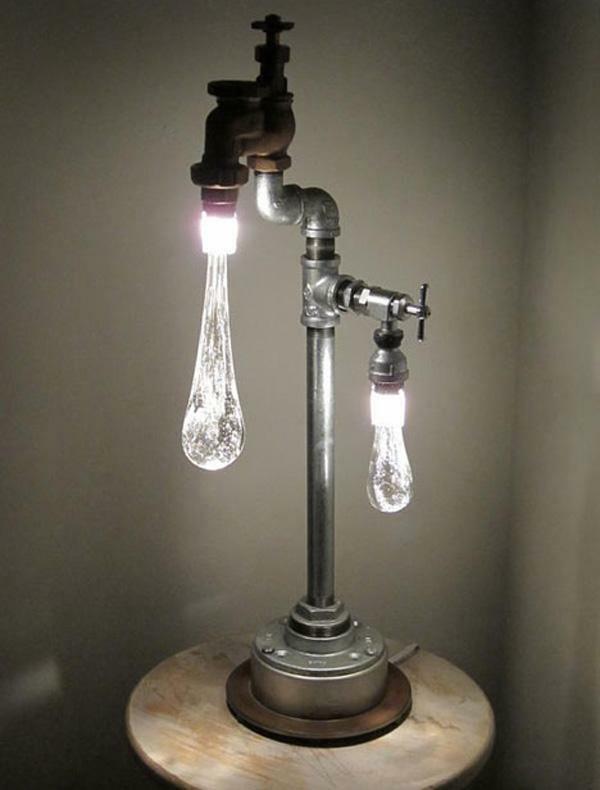 Artistic looking faucet lamp. It’s designed as if there is water falling from the faucet which is actually the light itself. Minimalist inspired white lamp. Simple, neat and consumes as little space as possible; perfect for those who want a lamp that can fit anywhere. 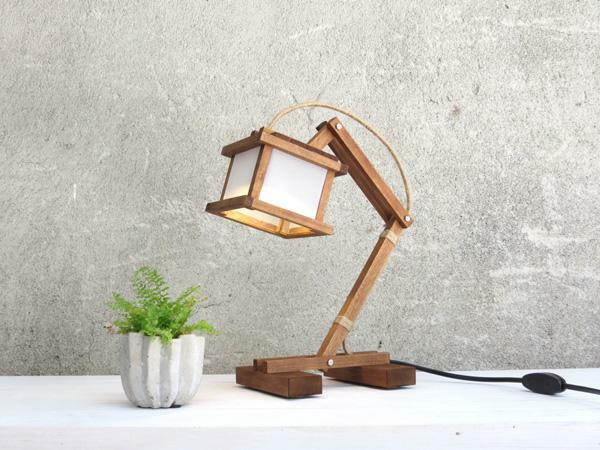 Wooden desk lamp. 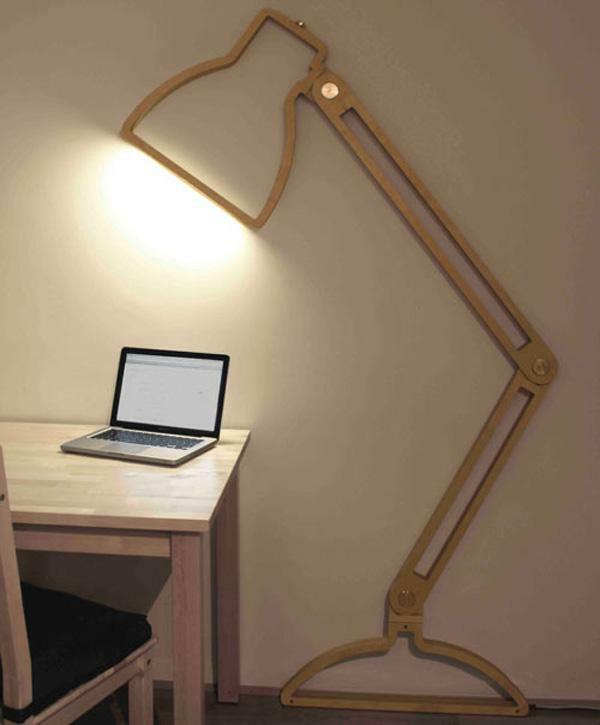 The homey design and the abundant lighting the lamp offers make it a perfect study lamp. 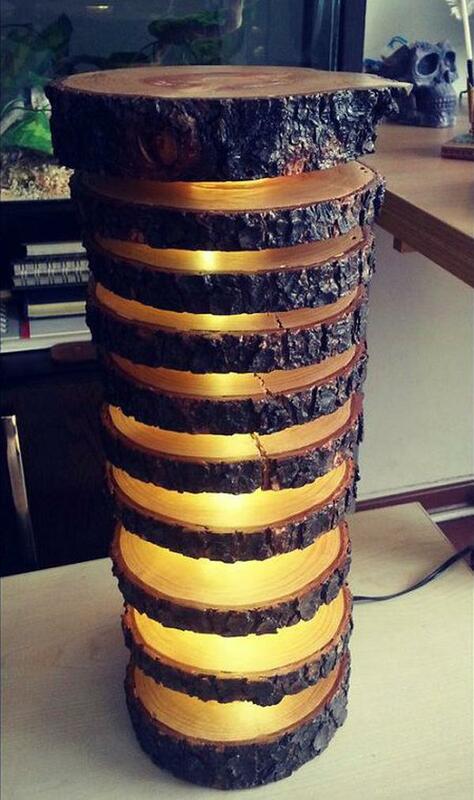 Staircase inspired lamp. Designed to mimic a staircase going up a lighted stairway. 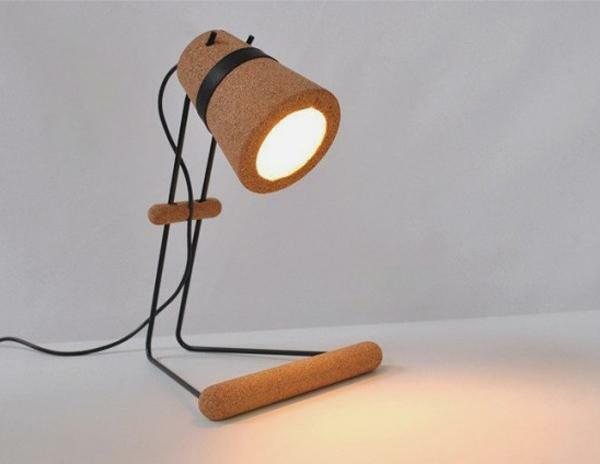 A simple yet pretty looking lamp made out of cork material. It makes the lamp lighter and easier to move from one place to another. Bottle lamp. 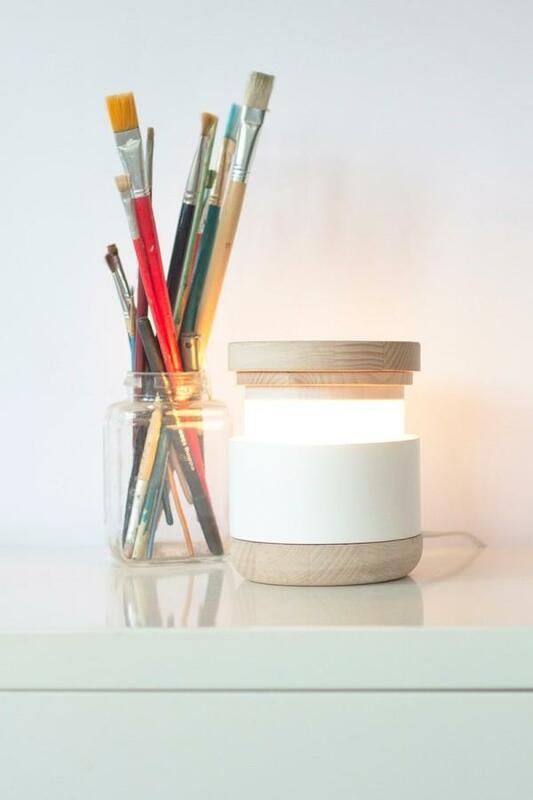 A small and cute lamp that can be perfect for small study tables or desks. Pipe inspired lamp. 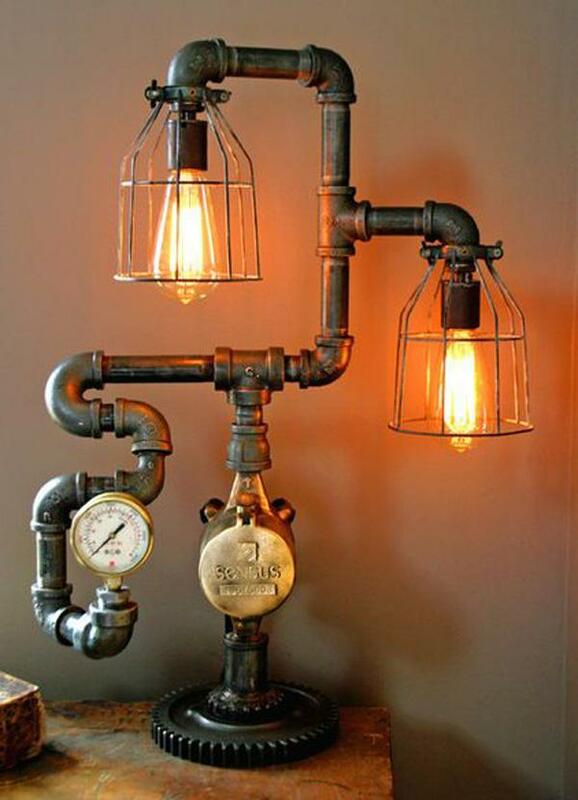 Detailed and creative lamp version of underground water pipes. 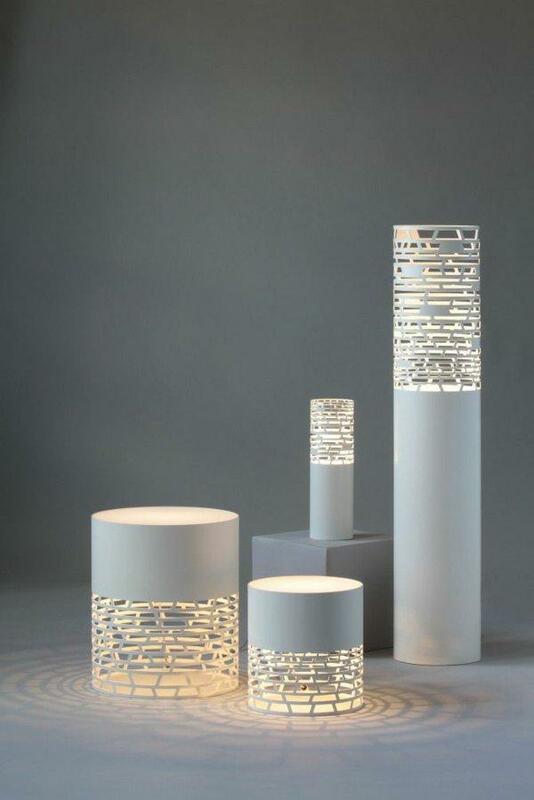 Simple bottle lamps with patterned cut out designs. Low light small lamps that give out beautiful shaped lights. 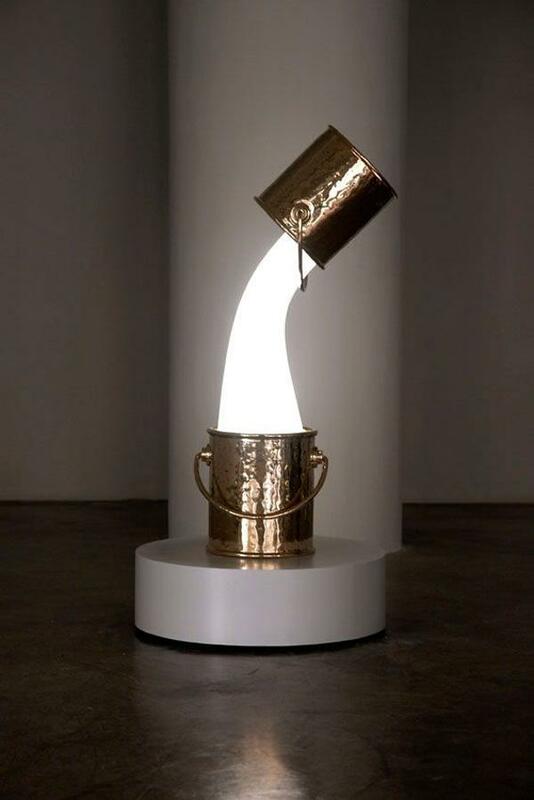 Water bucket lamp. Innovative looking lamp wherein it creates an illusion of a floating bucket seems to be pouring water light into another bucket. 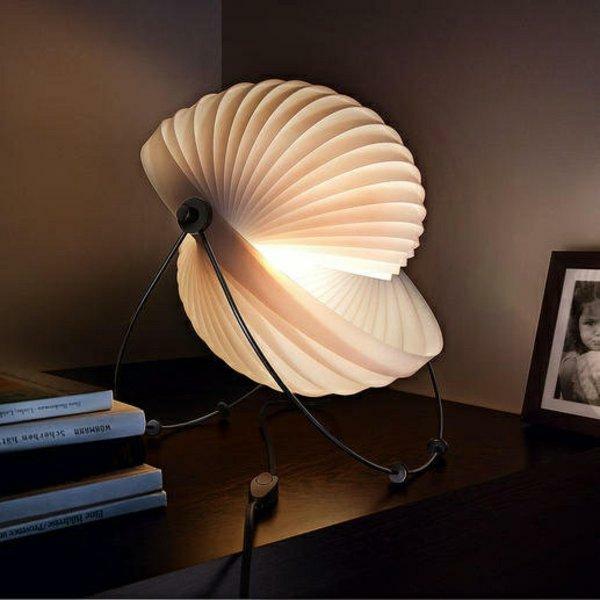 Sea shell inspired table lamp. If you love the sea and want to be reminded of it then this lamp will be perfect for you to gaze at. Flower vase lamp. 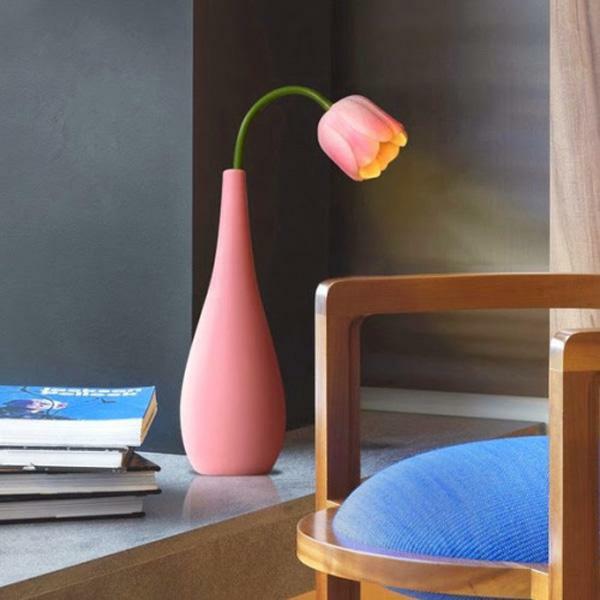 A pretty flower vase lamp with a single flower emitting the light within its petals. Bird lamp. 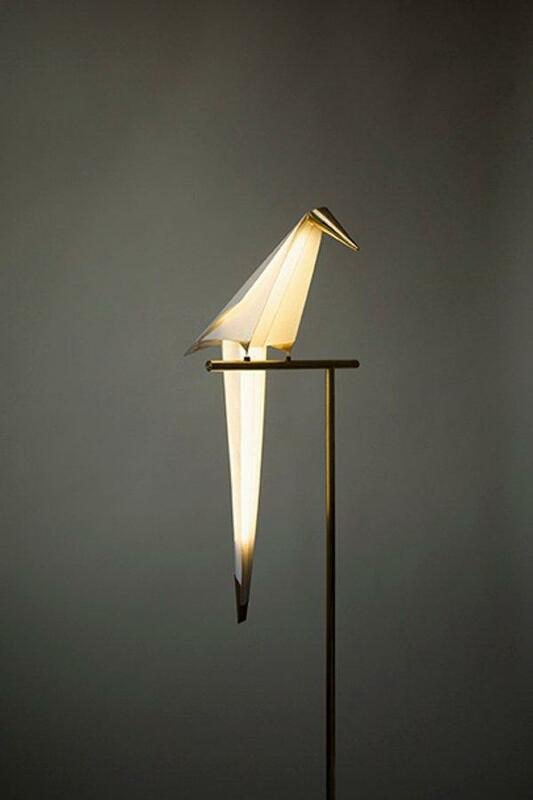 A lamp designed in a bird’s shape seemingly perched n a branch and projecting light from its body. Matchsticks inspired lamp. Artistic and definitely gives you a lot of light when you need it. Veil inspired table lamp. This lamp’s hood is draped over like a veil gently flowing down. It’s truly beautiful and elegant looking. 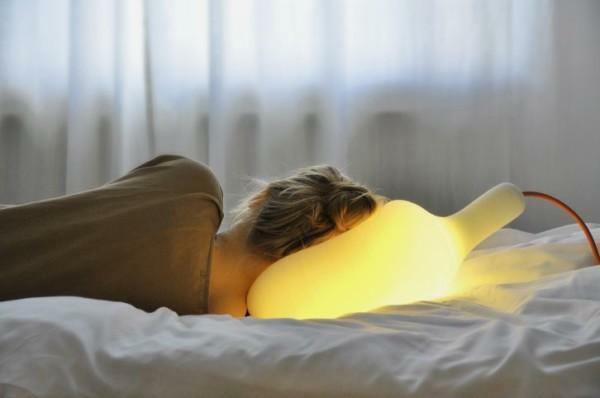 Two in one pillow and light lamp. Perfect for this who want to read while lying down and keeping the light not so dim yet not so bright. Cute wooden lamp. Fastened at the joints, this lamp looks as though it was conventionally made by carpenters and looks absolutely creative. 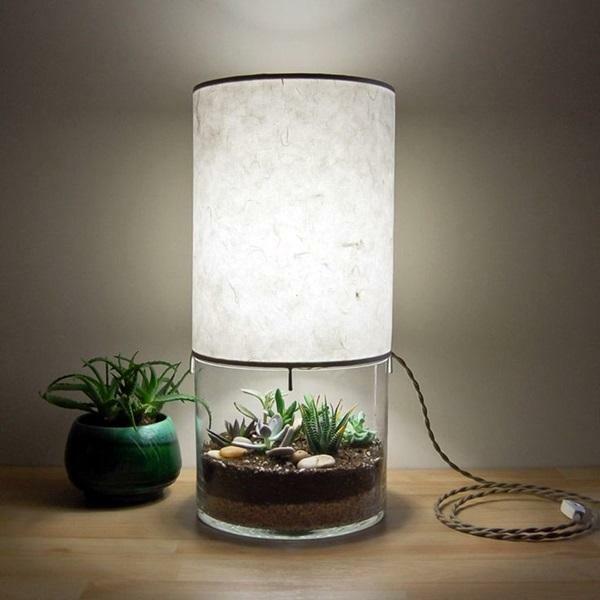 Mini greenhouse lamp. Why not have a mini garden under your lamp and use the light from the lamp to illuminate the greenery; simple yet very pretty. 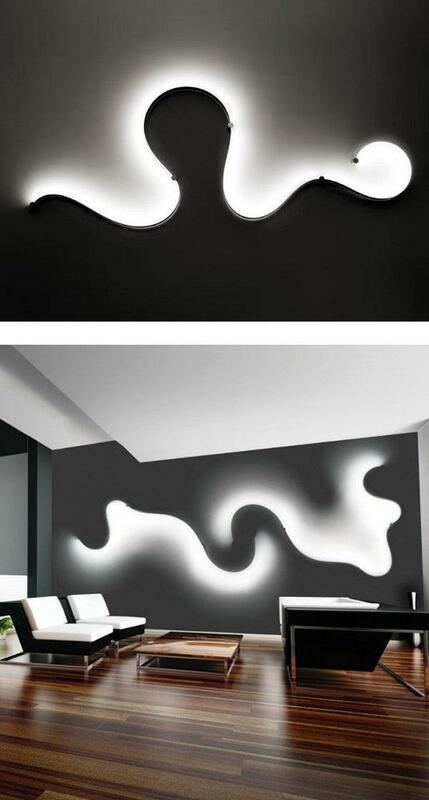 Abstract wall lamp. For those who don’t want to settle for simple lamps, you can install wall lamps that are designed like a smoke emitting soft light to illuminate the room. Metal dog inspired lamp. 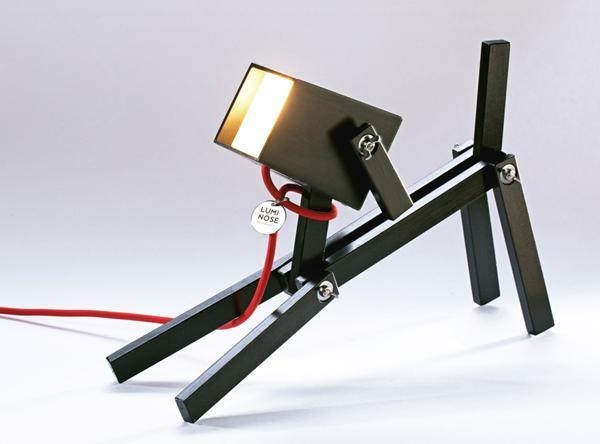 A fun looking and cute dog lamp which has a body of metal connected at the joints by screws and uses the flex as the collar. 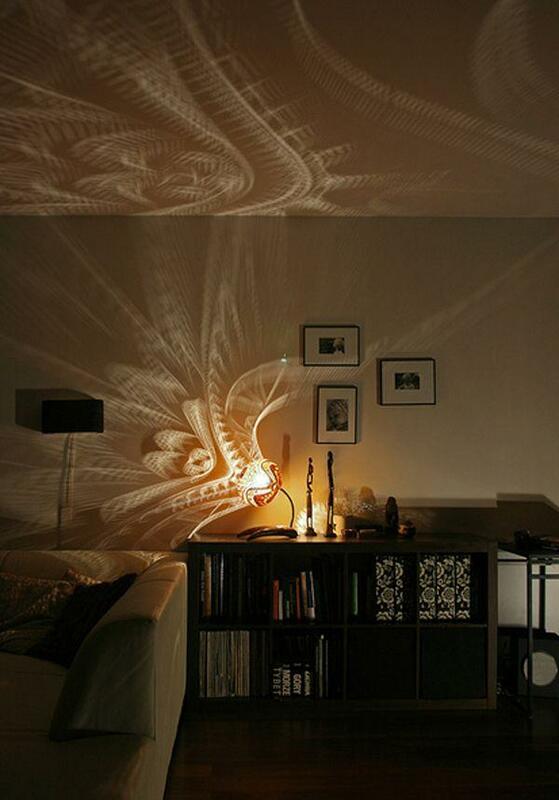 Beautiful patterned lamp. Create wonderful patterns on your wall by making this pattern inspired lamp and create your own wonderland within the room. 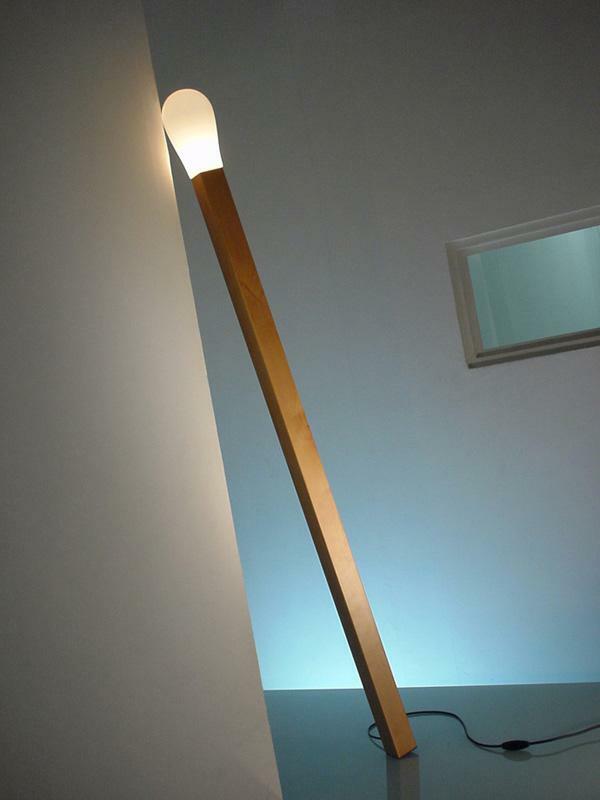 Quirky life size pencil lamp. 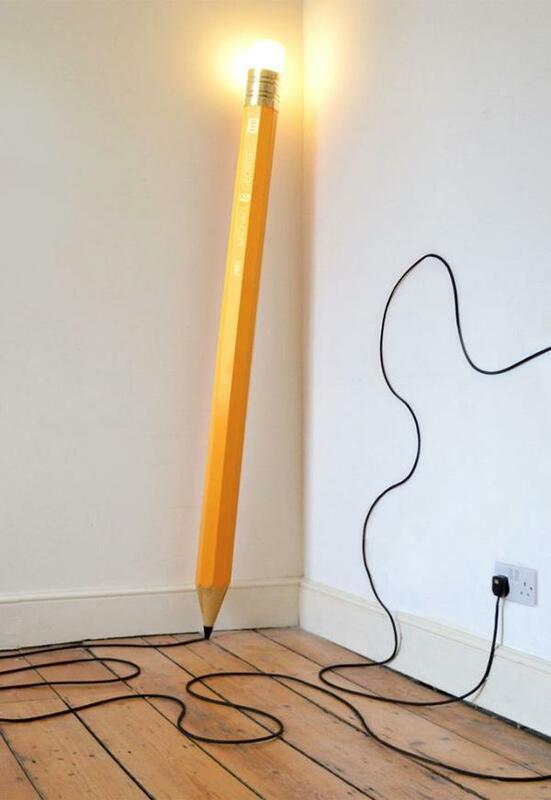 If you want something unique in the room then this pencil lamp is perfect for you. The light is emitted from the pencil’s eraser part. Life size matchstick lamp. 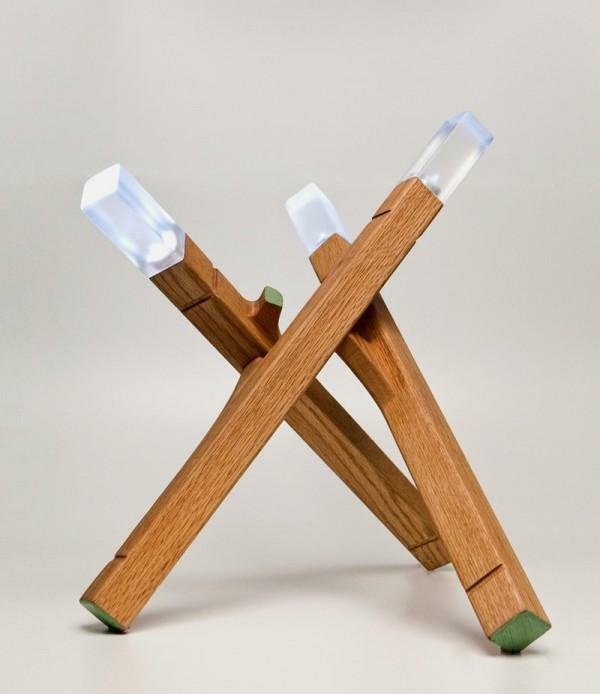 Instead of producing fire, this adorable lamp gives off fluorescent light. Colorful screw lamps. 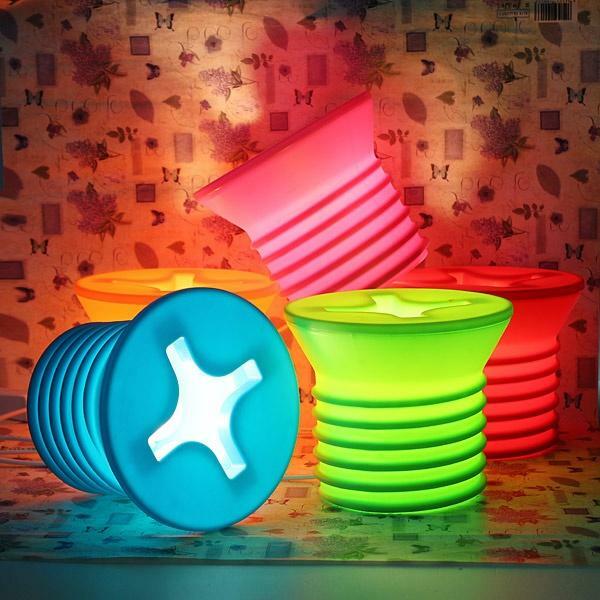 Cute and definitely adorable looking lamps that come in different neon colors. 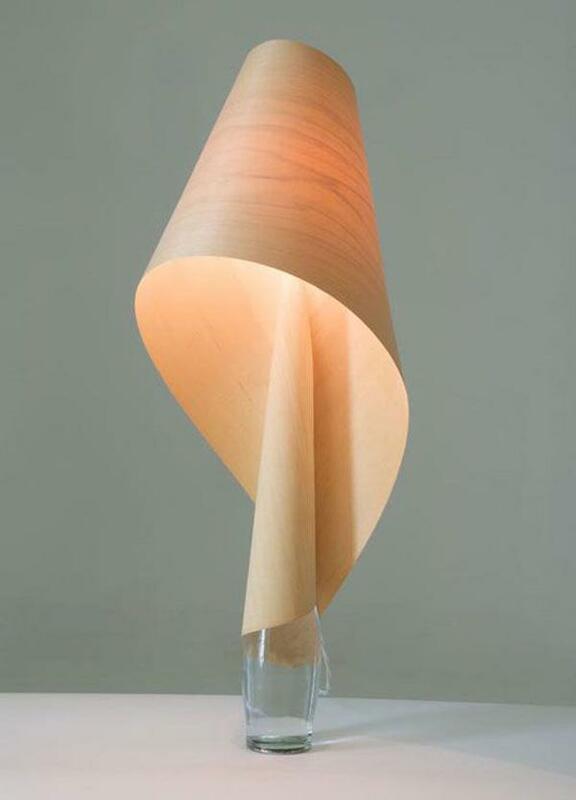 Life size wood lamp. If you’re going for the rustic look then this wood inspired lamp is great for your home with each light being emitted from each level of the cut. 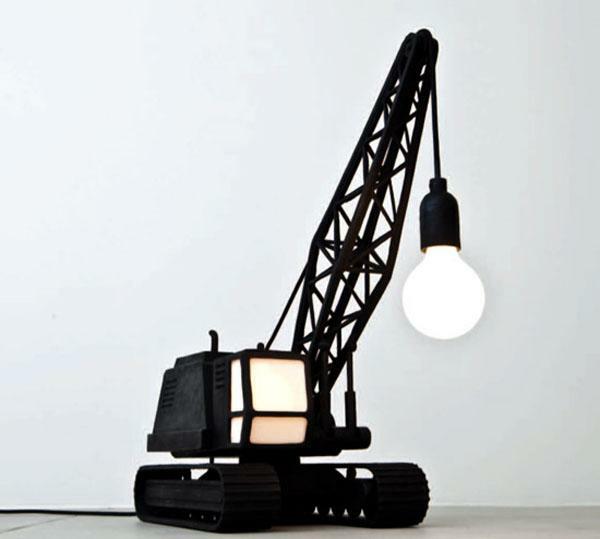 Crane inspired lamp. A really cute small version of the crane lifting a light bulb which in turn provides the light for the lamp. Galaxy inspired lamp. Do you want your room to look like a thousand galaxies have exploded on your wall? Making this lamp will be the best thing that you can do. 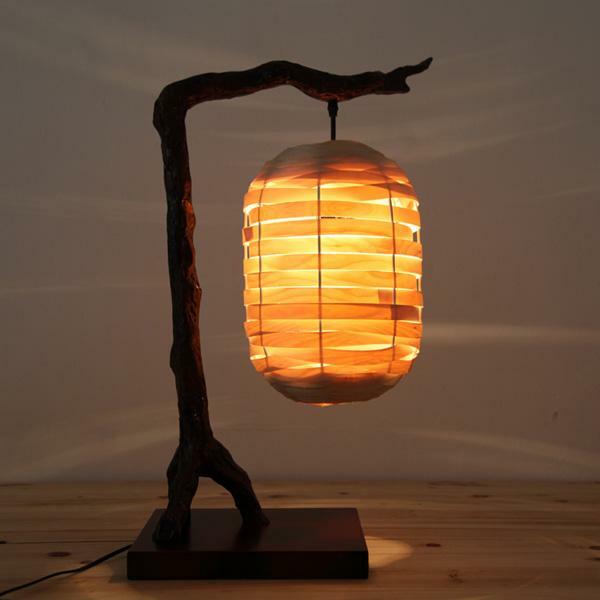 Wooden Chinese lamp. A lamp with a traditional twist to it. Simple yet it looks very symbolic and creates a great ambiance in the room. 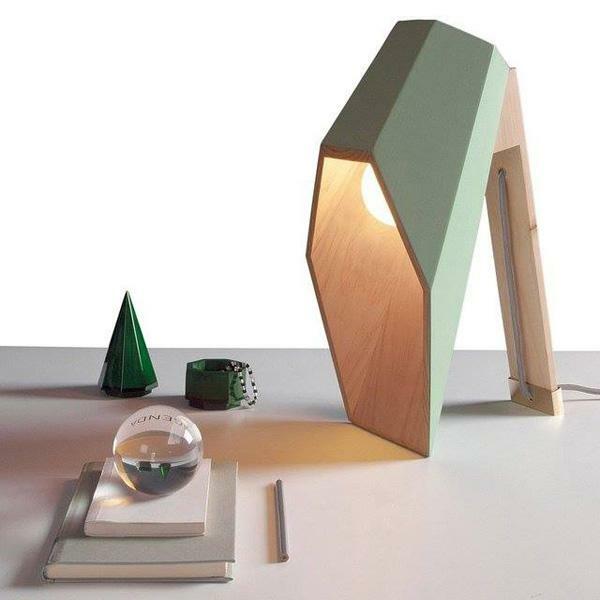 Origami inspired standing lamp. 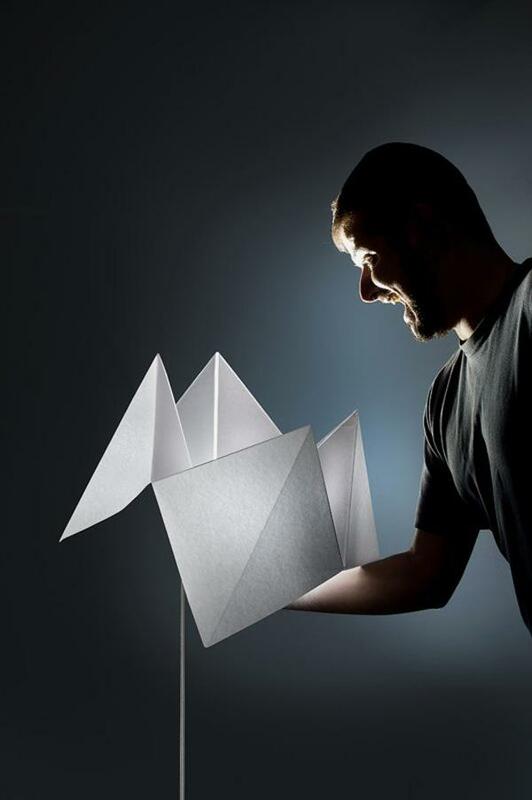 A cute and simple standing lamp that imitates an origami craft. Life size wall lamp. Literally a space saver and gives your desk a good amount of lighting; also very unique and fun to look at.